Rui Costa (Movistar) won the final, uphill time trial stage of 2013 Tour de Suisse on Sunday, and with it took the overall win for the second consecutive year. The Portuguese rider finished the stage 21 seconds ahead of Tanel Kangert (Astana) and with 29 seconds over Bauke Mollema (Blanco). Race leader before the stage start, Mathias Frank (BMC Racing) put in a spirited ride to try and retain the race lead in his home nation, but finished in 19th spot, one minute and 56 seconds adrift of Costa. Costa had trailed Frank by just 13 seconds in the overall classification at the start of the day and easily overhauled the deficit. Costa ended the race 1-02 ahead of Mollema in the overall classification, with Roman Kreuziger (Saxo Tinkoff) at 1-10. Irishman Daniel Martin (Garmin-Sharp) also put in a good ride to finish 12th on the final stage, and eighth overall. Highest-placed British rider on the final stage was Josh Edmondson (Sky), who finished in 34th place – one place ahead of Andy Schleck (RadioShack). Pre-stage favourite Tejay van Garderen (BMC Racing) appeared to struggle to find a comfortable cadence on the climb to place 10th on the stage, but it was enough to elevate him to seventh overall. Another surprise ride came from the previous day’s stage winner, Peter Sagan (Cannondale), who posted a time that was good enough for 20th on the stage and ahead of some notable climbers. The 26.8-kilometre route featured a flat opening section, and a 1,000 metre climb over the final 10km. Many riders elected to use a time trial bike for the first section, and the stop and swap to a lighter weight regular road bike for the uphill section. 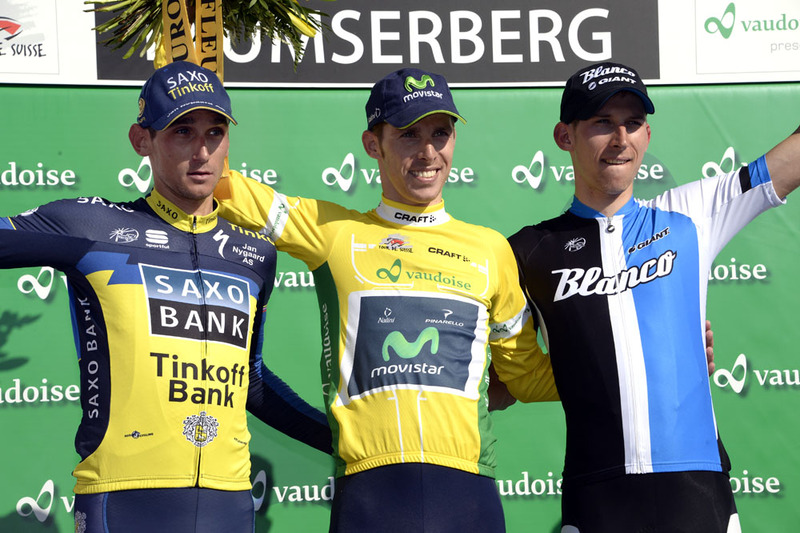 Tour de Suisse 2013: Who will win?